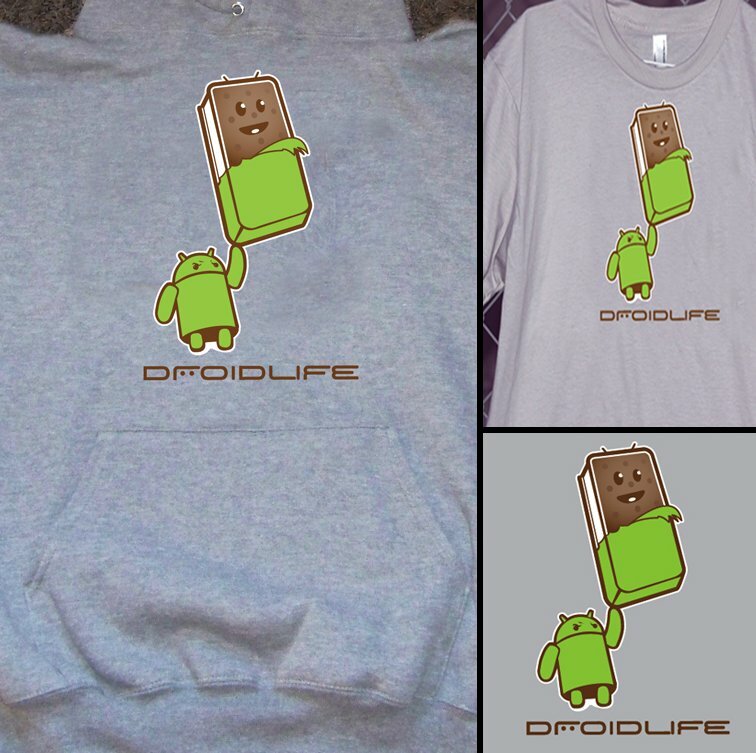 Limited Edition Droid Life Ice Cream Sandwich T-Shirts and Hoodies Now On Sale – 5 Days Only! Since many of you requested hoodies the last time that we sold just t-shirts or t-shirts the last time we did hoodies only, we decided to give you the option for either this time around. For the first time, we have this special edition DL design available on American Apparel cotton tees or in ultra-comfy grey hoodies. Choices folks, choices. As always, the design is available for a limited time, as in you have until Monday (2/20) at noon Pacific to get your orders in before the design is gone forever. Orders will then ship on Tuesday (2/21). Prices: $17 for the t-shirt – $24 for the hoodie.